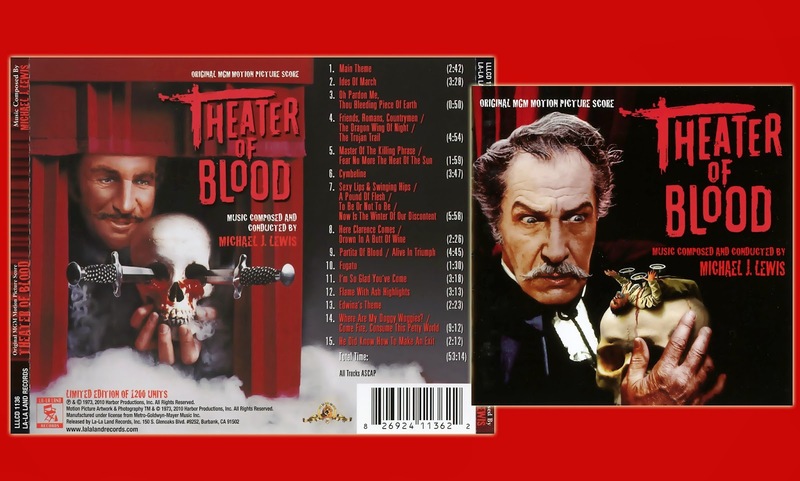 A special new edition of the Douglas Hickox’s cult horror film drama « Theatre of Blood » (1973) is now available. This is a complete restored version of the movie from a new 35mm interpositive and a restored mono optical soundtrack negative produced by MGM. The result is magnificent !!! In 1972, United Artists and the producers John Kohn and Stanley Mann choose Douglas Hickox (1929 / 1988- « Sitting Target » (1972) « Brannigan » (1975) and « Zulu Dawn » (1979)…) to direct the movie Theatre of Blood. The team production was joined by two executive producers Gustave Berne and Sam Jaffe. 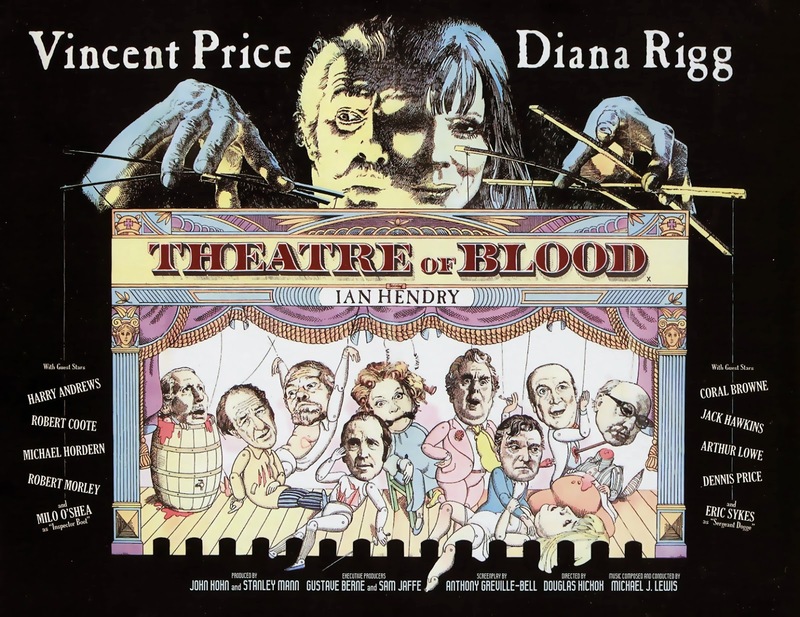 The cast team was very impressive : « Vincent Price, Diana Rigg, Ian Hendry, Harry Andrews, Robert Morley, Diana Dors, Madeline Smith, Milo O’Shea, Eric Sykes… » The original screenplay was written by Anthony Greville-Bell (« Perfect Friday » (1970)) based on an idea by John Kohn and Stanley Mann. 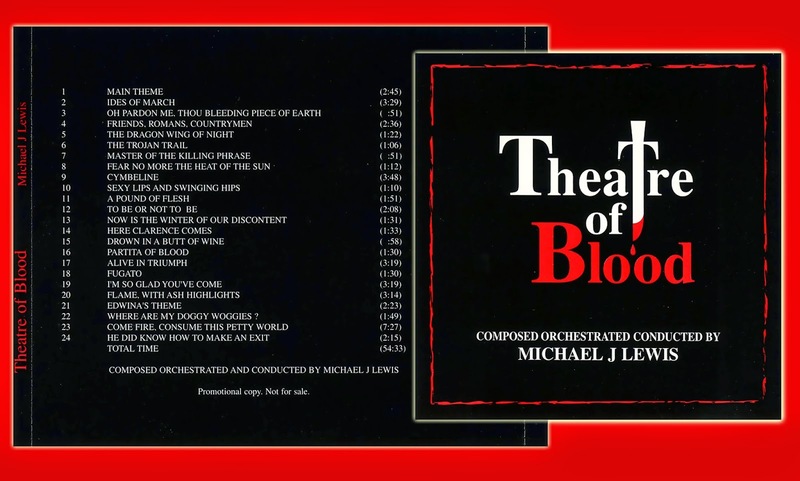 Main Theme from "THEATRE of BLOOD"
A composer to hire ! 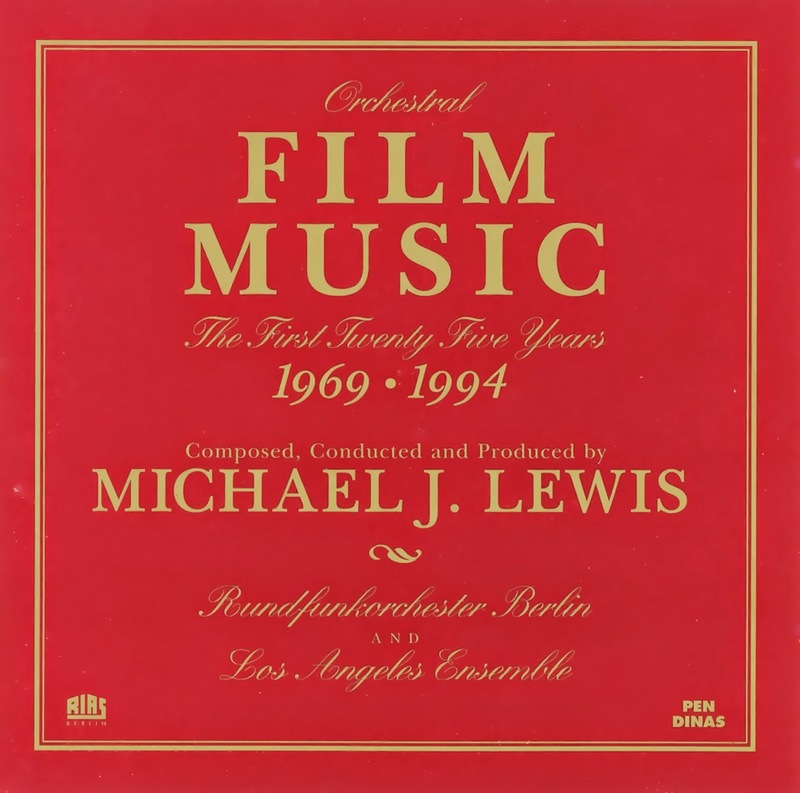 After his brillant score for « The Madwoman of Chaillot » (Bryan Forbes (1969)), the producers of « Theatre of Blood » offered to Michael J. Lewis the opportunity to compose the music of the movie. Once again, the great musician showed another face of his talent by writting two beautifull melodies : « the main title » (main theme of the movie) and « Edwina’s theme (Diana Rigg’s character) ». But above all, he succeeded in merging his romantic music and the cruelty of the story in a very fine ability and a great sense of humor. For me, it is a great score and brought the evidence that he is one of the greatest film composers of his generation, like Jerry Goldmsith, John Williams …! The collaboration between Lewis and Hickox worked so marvelously that they decided to work together again on a TV film adaptation of the Arthur Conan Doyles’ novel « The Hound of the Baskervilles » in 1983. In addition to the bonus (interviews, short documentary, trailer, collector’s booklet….) this special blu ray edition also includes an outstanding interview by Michael J. Lewis : « A harmony for horror ». With a lot of enthusiam and witty, the Welsh composer remembered his collaboration with the director Douglas Hickox and the high class actress Diana Rigg. But, above all, there is a great moment of emotion when he plays at the piano the « main title » and the « Edwina’s theme ». We are very grateful to « Arrow Video » and « High Rising Production » for giving us the opportunity to enjoy a very fine and rare moment of pure pleasure. Some months ago, the composer was kind enough to send me the link of one of his last short movie « Great Storms of Aberystwyth » available on YouTube. (Great Storms of Aberystwyth – Michael J. Lewis). 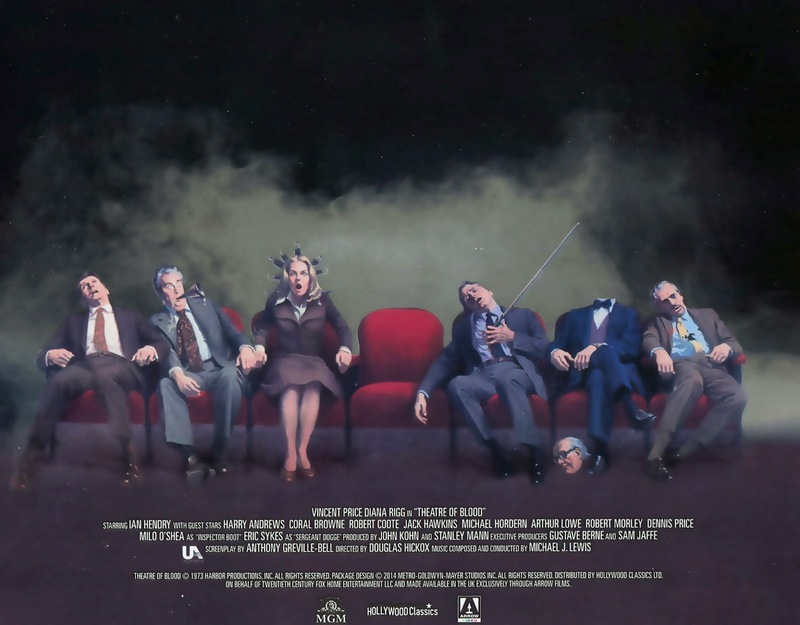 « Theatre of Blood » by Douglas Hickox, 1973 / 2014, Arrow Video , Blu Ray Zone B, Ref FC0927, Wide Screen Edition, Mono Sound, Pal, 1.66.1 / (16-9), 104 minutes, English Language and English Substitles, 2014, UK.